Can green tariffs attract big business to states? in their ability to provide corporations with the renewable energy they want at the scale they need . . . 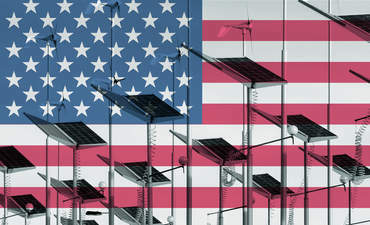 There are 10 green tariff programs in operation across the United States responsible for about 450 megawatts (MW) of new renewable energy production. Click here to read more. This entry was posted in Nebraska / Midwest News, NewsBlog and tagged Corporate Renewable Energy Buyers' Principles, green tariff programs, GreenBiz, Nebraskans for Solar, renewable energy, Renewable Energy Buyers Alliance (REBA), U.S. companies' sustainability or renewable energy targets on February 8, 2017 by Helen Deffenbacher.